A 90 Degree Change in Attitude | So Many Exciting and Beautiful Places! Today is our 13th Anniversary, and we always travel somewhere to celebrate. This year it’s Palm Desert, a new location for me. Friends stay every year for a couple of weeks in Palm Springs and have recommended the climate. We left 14 degrees below zero in Minnesota, and arrived to 76 degrees in Palm Desert. Who could blame us for want to improve our attitudes by almost 90 degrees! 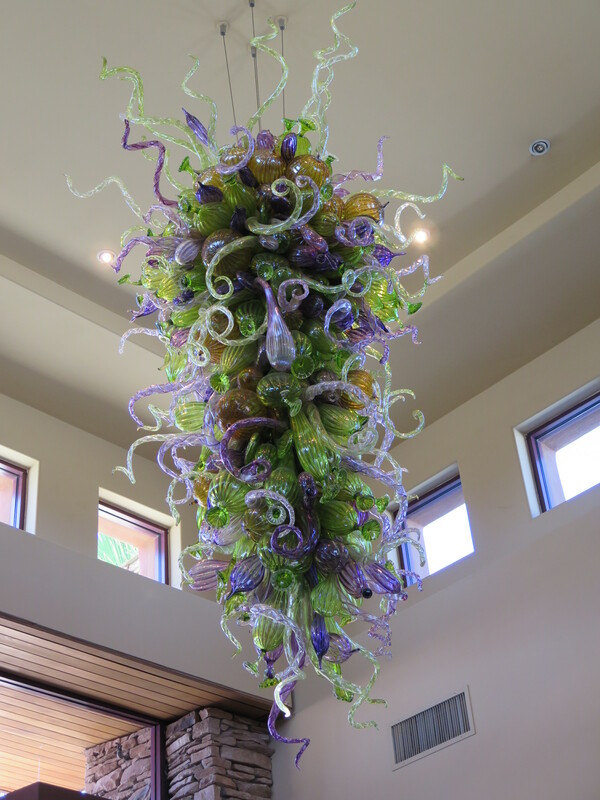 Our vacation rental wasn’t ready yet when we arrived, so we walked to the Desert Willow Golf Resort for some lunch This resort has a gorgeous Dale Chihuly chandelier in the lobby, at least 10 feet in length. We sat outside and when a gentle rain started, everyone else left for shelter. We were so happy to be out doors without our down jackets that we just stayed where we were. The grounds at our resort, Club Intrawest Palm Desert , are beautiful. Several of the desert plants are in bloom, and we’ve seen road runners, ravens and cranes as well as other critters. for dinner. The food was delicious, wine list extensive, and the service wonderful – attentive but not interfering with our conversation. 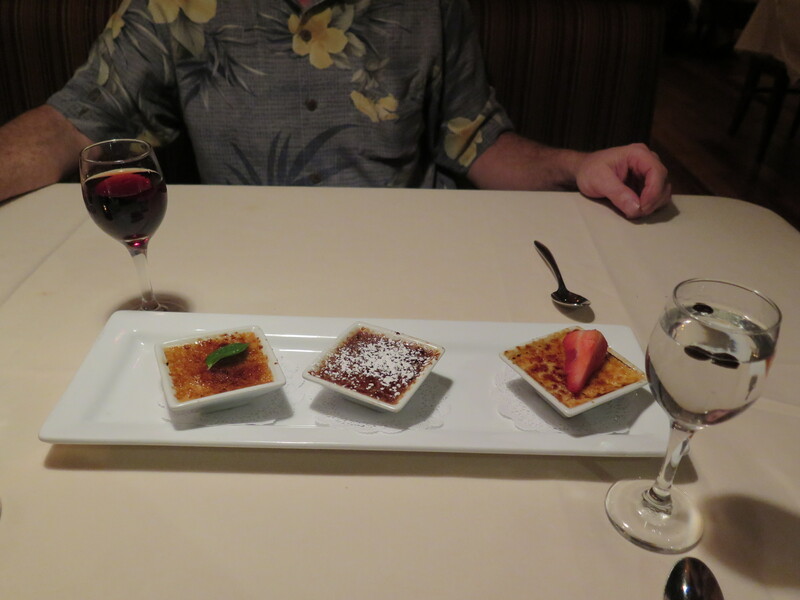 For dessert, we had a creme brulee flight: butterscotch, chocolate and vanilla. This entry was posted in California, USA Travel and tagged California, Chihuly, Club Intrawest Palm Desert, Desert Willow Golf Resort. Bookmark the permalink.